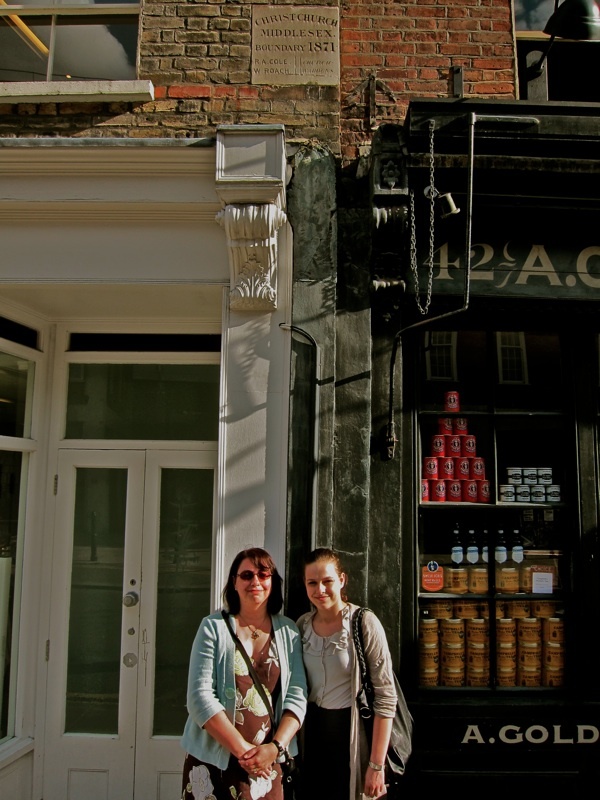 Kate Cole and her daughter Rose outside the former Cole’s grocery shop in Brushfield St. I must be amongst a very rare number of twenty-first century Londoners who can visit the East London home of my ancestors and walk in their steps. Many of my Victorian ancestors lived in Bishopsgate in the City of London and Brushfield St in Spitalfields. Whilst I can no longer visit my ancestors’ substantial Bishopsgate home and factory, as it was compulsory purchased and swept away in the 1880s by the Great Eastern Railway so they could build the mighty Great Eastern Hotel in its place, I can still visit my ‘ancestral’ home in Brushfield St on the edge of Spitalfields Market. Up until the 1870s, Brushfield St was known as ‘Union St East’. Halfway down, on the right-hand side – if you are walking from Bishopsgate – is a parade of shops all dating from the eighteenth century. Many readers may be familiar with the lovely restored Victorian frontage of the food shop A.Gold and the women’s fashion shop next door, Whistles. But have you ever looked above their signage and spotted a small plaque on the wall in between the two? 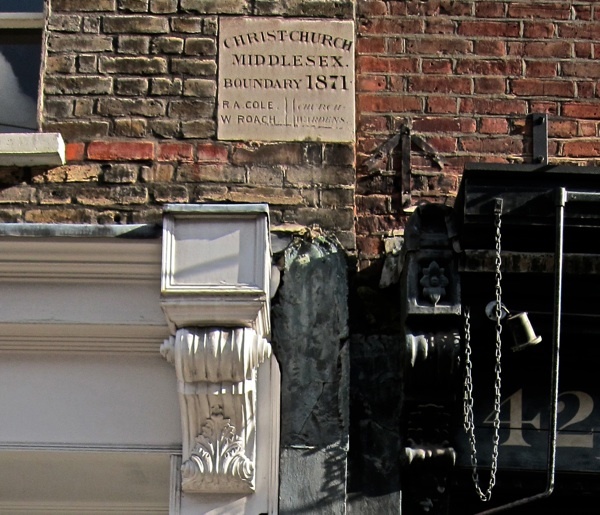 This is from 1871, marking the parish boundary of Christ Church Middlesex and there on the wall, for all of London to see, is the name of my great-great grandfather, R. A. Cole. In the 1850s, Robert Andrew Cole was a grocer and tea-dealer, living above his shop and trading from the premises which is now Whistles. Robert Andrew, along with his wife, Sarah Elizabeth (née Ollenbuttle) and their five children, William, Sarah, Margaret, Robert and Arthur, all lived in this terrace – first at 23 and then at 25 – for some thirty years from the 1850s until the 1880s, when the market was redeveloped and Robert Andrew Cole retired to Walthamstow. As an aside, I do find it ironic that today’s swanky redeveloped Spitalfields Market is now known as Old Spitalfields Market. In Robert Andrew Cole’s day, it was a brand spanking new, and perhaps an unwanted market with posh new buildings. Its very existence and construction was probably one of the reasons why the Coles gave up their shop and retired to the countryside of Walthamstow. For many years, Robert Andrew Cole was also a churchwarden of Christ Church, Spitalfields and also the Governor and Director of the Poor of the parish. So he must have been amongst the wealthiest of this East London parish. In circa 1869-1870, Union St East was renamed Brushfield St, and it is possibly the renaming of this street which lead to the church boundary being marked in the wall in 1871. Hence, churchwarden R. A. Cole’s name was recorded for posterity in the brick-work. He must have been a very proud man when his name was unveiled on the terrace where he lived. However, despite their standing in the community, the Coles’ time in Brushfield St was not entirely happy. Two of the Cole children, Sarah Elizabeth and William Henry, succumbed to a devastating outbreak of scarletina – then a deadly infectious disease. Both children were buried in Tower Hamlets Cemetery on 2nd August 1857. William was aged only twenty-two months and Sarah was a month short of her fourth birthday. One can only imagine the pain and horror experienced by their parents, along with the fear that their only surviving child, Robert, then aged five, might also fall victim to the terrible disease. It must have been an awful time for this one Victorian family living in the shadows of Christ Church Spitalfields and the Fruit & Vegetable Market. 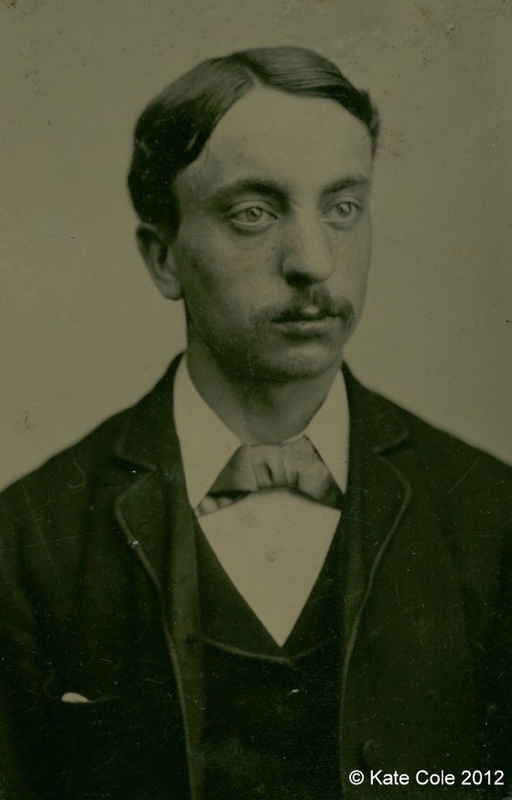 However, their son Robert, did not become another victim (for, if he had, I would not be writing their story, as he is my great-grandfather). Eight months after burying their two children, a new child, Margaret was born, and a further year later, Arthur. Sadly, Margaret also did not survive childhood and once again, in 1869, the Cole family of Union St East buried another one of their own in Tower Hamlets Cemetery. I have often pondered the fate of this small East End family. Of the five children, only two survived into adulthood and, of those two, only one had children of his own. Arthur Cole died a bachelor in his fifties and was buried in the second Cole family grave in Tower Hamlets Cemetery alongside his mother, grandparents, great-aunts, and great-uncles – true Londoners who worked, lived and died in the East End of the eighteenth and nineteenth century. Robert Andrew Cole, grocer and tea-dealer of Spitalfields Market, was buried in the same grave as his three children who had not survived childhood. While Robert Cole, the only child of Robert and Sarah Cole who went on to marry and father his own children, married Louisa Parnall, a member of a fantastically successful Welsh family of industrialists and philanthropists who had a substantial clothing factory on Bishopsgate. When you are next in Brushfield St, stand and look up at the plaque marking the parish boundary of Christ Church, Middlesex. Then look down into the windows of Whistles clothes shop. The funeral processions of the Cole children must have stopped here on their way to Christ Church, before going to Tower Hamlets Cemetery. Imagine the tragedy and triumph that went on between those four walls and the drama of the daily family life of the Victorian grocer and tea-dealer, Robert Andrew and Sarah Elizabeth Cole. 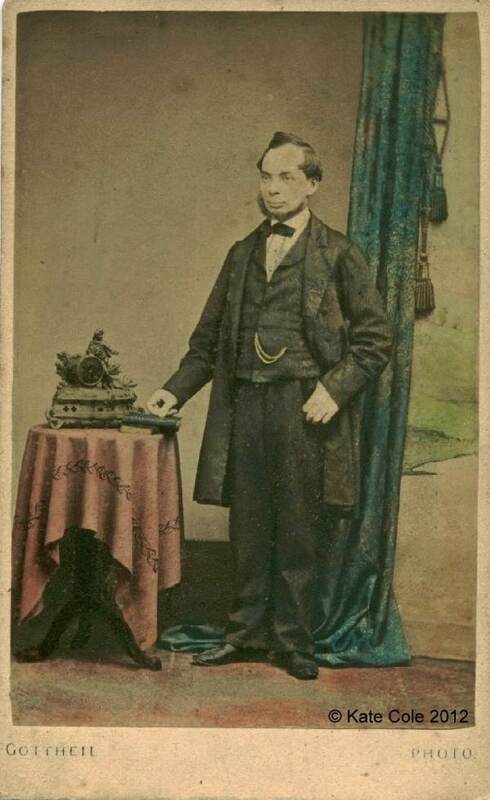 Robert Andrew Cole, born 10th February 1819, Anthony St, St George in the East, baptised 7th March 1819 in the parish church of St George in the East. Married 25th December 1850 St Thomas’ Church, Stepney to Sarah Elizabeth Ollenbuttle. Died March 1895 in Walthamstow. Buried in one of two Cole family graves in Tower Hamlets Cemetery. Grocer and tea-dealer of Spitalfields Market for over thirty years. Churchwarden of Christ Church Spitalfields and Governor and Director of the poor of the parish. 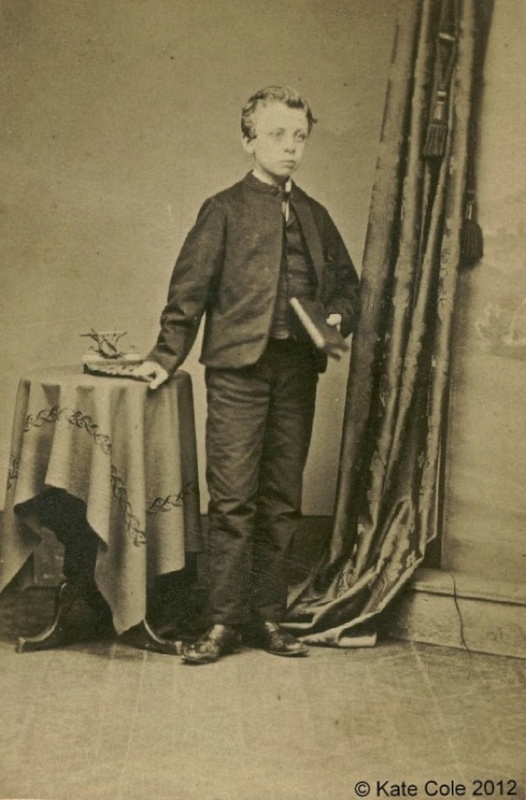 Robert Cole, eldest child of Robert Andrew and Sarah Elizabeth Cole, born 4th May 1852 in Tunbridge Wells. Married 11th January 1880 to Louisa Parnall (great-niece of Robert and Henry Parnall of Bishopsgate). Died 17th June 1927 in Raynes Park, South London. Buried in Putney Vale Cemetery. Grocer and teadealer. Margaret Cole, baptised 28th March 1858 at Christ Church, Spitalfields. Buried 20th January 1869 in Tower Hamlets Cemetery aged eleven years. 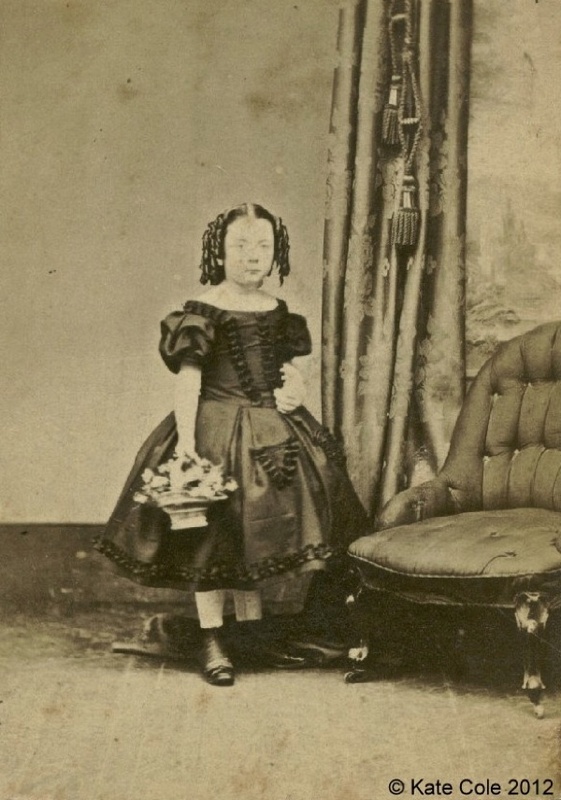 The child in this photo looks to be about seven or eight years old, which dates all three photos to approximately the mid-1860s. 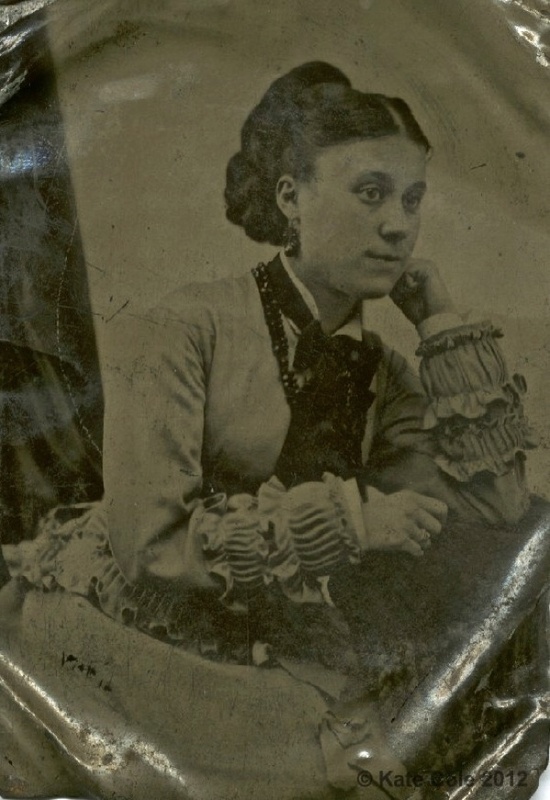 Louise Parnell – This tintype photo and the one of Robert above were possibly taken at their betrothal, before their marriage in January 1880. 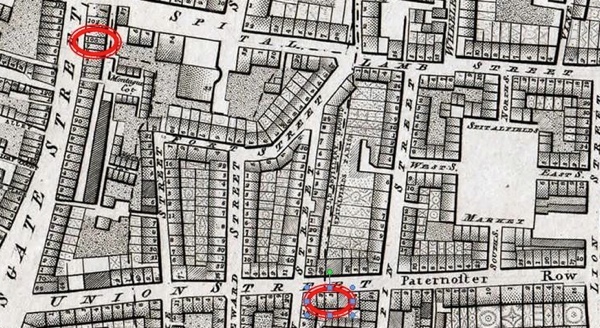 The locations of the Coles’ business in Brushfield St and the Parnell’s business in Bishopsgate. 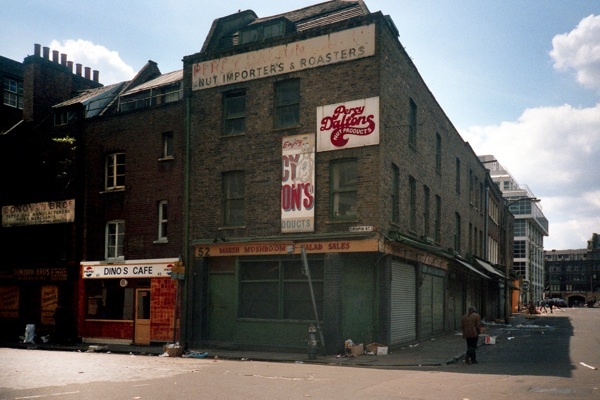 Philip Marriage’s photo of Brushfield St in 1985 with the former Coles premises indicated by the awnings. 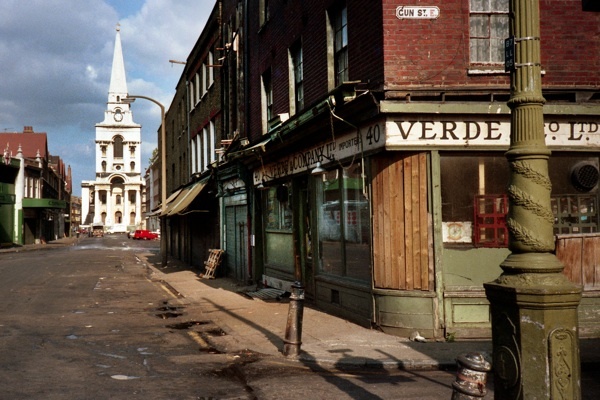 Brushfield St in 1985, looking from the east. The boundary stone with R. A. Cole’s name is on the top left of this picture from the eighties. The boundary stone of 1871 in Brushfield St with the name of R.A.Cole. 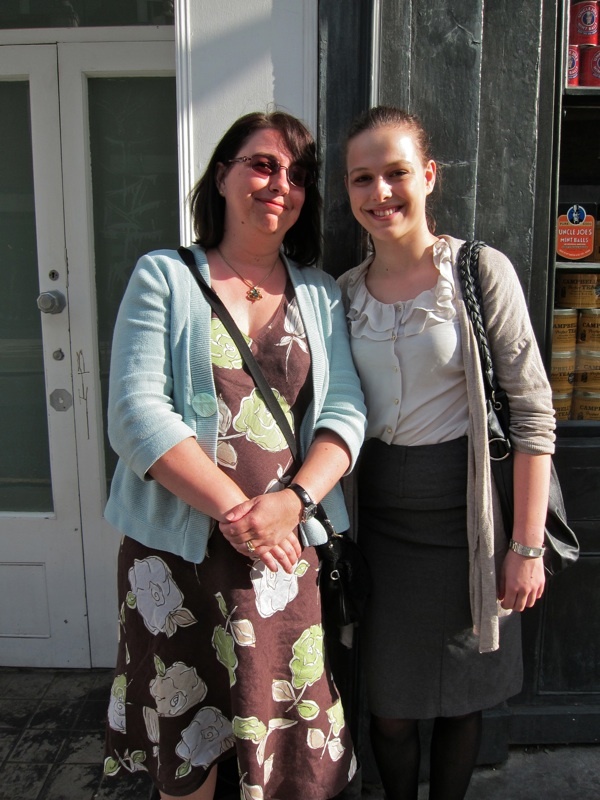 Kate and her daughter Rose are the sixth and seventh consecutive generations of their family to work in the Bishopsgate area. Kate works in Finsbury Sq and Rose has just started in Finsbury Circle. Lovely piece and images. I’ve also got Spitalfields Fruit and Vegetable market ancestors – Henry Edards and family, Hop Merchants. My 3 x great grandfather Thomas Jones has a Feather Manufacturing business at 39 Union Street right across from Coles shop. He was there between about 1830 and 1855. This is a very interesting article. Such a lovely surprise to see your article about my family. 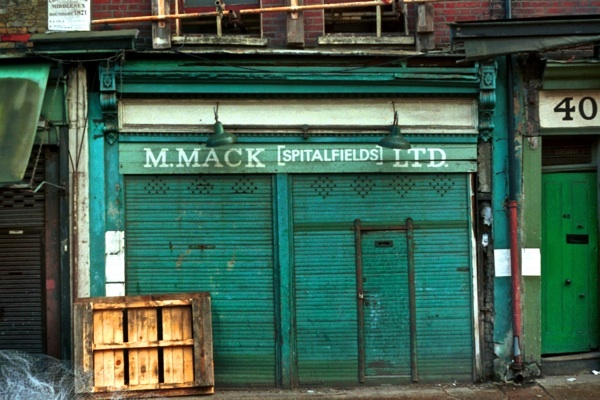 In my Dad, John Cole’s, final weeks, he and I talked greatly about our Spitalfields’ ancestors. In his final months, my Dad was totally bed-bound – but his brain as active and alert as it had always been. We talked of the Coles and the Parnalls and the tie that we all have to this tiny part of London. Dad told me about his first day at work – at 41 Lothbury – in those days the head office of the forerunner of NatWest Bank. He talked of how he, his brother and his father all commuted into London together from Surrey in the late 1940s. To my great surprise, he also told me how his father, George Parnall Cole (the youngest child of Louisa and Robert – seen in these photos) had spent the Second World War on the rooftops of the Bank of England watching for enemy bombers. Night after night, my grandfather George did his bit during the Blitz, protecting his beloved London from the Nazis. Sadly Dad has now passed – but he was so proud of his Cole ancestors and how we had kept the 300 year family tradition going of working in the City and East End. After 30 years of daily commuting, I no longer commute into London but both my daughters do – commuting daily – as do my Cole nieces. A proud long line still continuing to this day. So thank you for publishing this. It is very timely as I think it’s now time for me to round my family up to celebrate our Cole family’s East End heritage.